Today is the birthday of Karl Frederick Schuster (April 2, 1890-November 4, 1976). 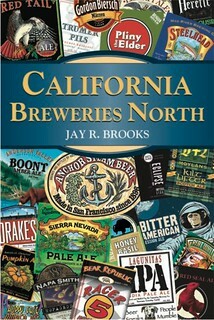 He was born into a brewing family, and worked in several Bay Area breweries until prohibition, during which time he continued working with beer people though making cereal products. When prohibition ended, he was named president of Acme Breweries. Our subject’s grand-father, Frederick Schuster emigrated from the Alsace upon hearing of the California gold rush and made his way to the placer mines in Plumas County. In the early 1850s he started a family and failing to strike it rich, he established a small steam beer plant, one of the first in California. The Pacific Coast Directory for 1867 lists the La Porte Brewery, F. Schuster, proprietor. 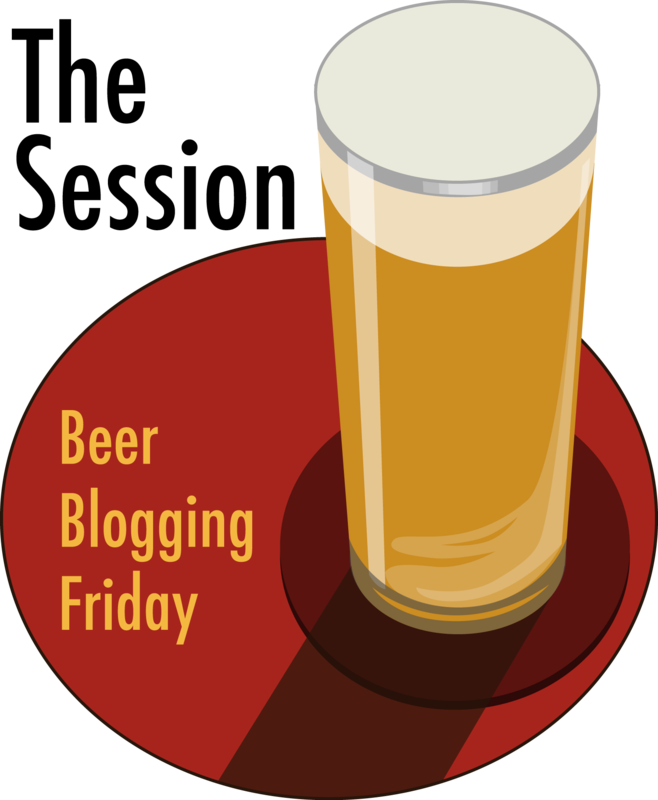 When the placer mines played out Frederick relocated to San Francisco, and in 1870 he purchased the American Railroad Brewery. When Frederick died, his son Frederick Paul Schuster took control of the Brewery, and in 1902 he merged it with the Union Brewing & Malting Company. The American Railroad branch of the new company operated for two more years, and was then closed. Frederick became the vice president of the Union Brewery. 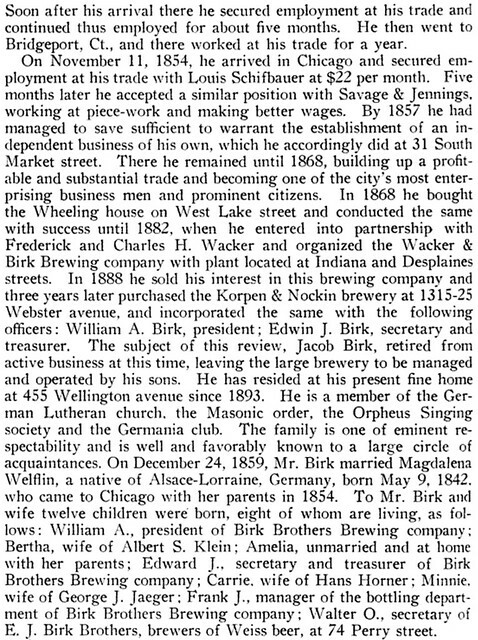 Frederick Paul’s son, Karl F. Schuster, continued the family tradition in brewing. In 1908 he started as an apprentice, drawing his first pay check from the Union Brewery, which had abandoned the manufacture of steam beer and entered the lager beer field in 1903. 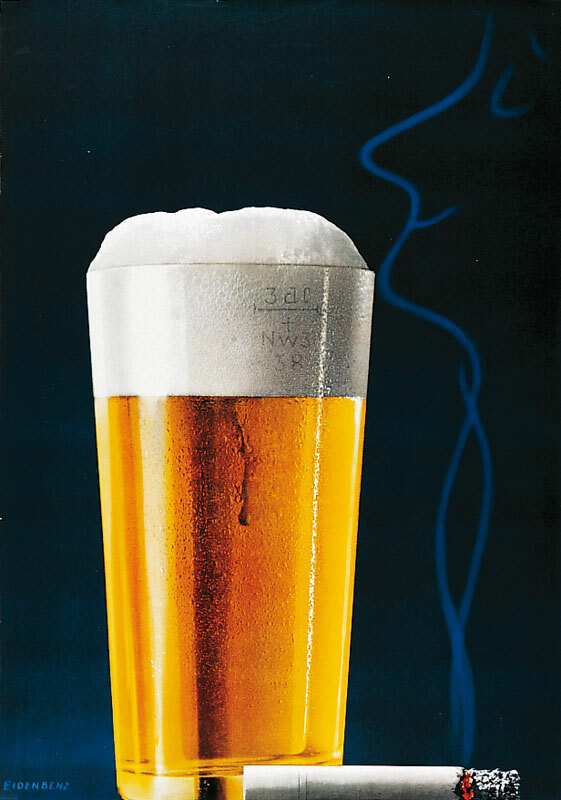 While Karl was learning all aspects of the trade, the brewing industry in San Francisco was undergoing many changes – in part from the effects of the ’06 earthquake, but also from the influx of brewers escaping early Prohibition in their home states. In 1909 Union Brewing & Malting annexed the Wunder Brewing Co. by purchase, paving the way to a merger that would solidify its position. 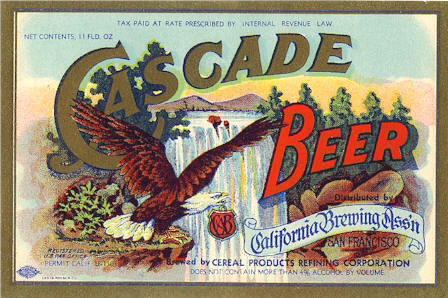 In Jan. 1917 the Union Brewery joined five other breweries in the formation of the California Brewing Assn., with Frederick P. Schuster subsequently named one of the Association’s directors. Frederick’s son Karl, returning from WWI and facing the demise of his industry from Prohibition, took a position as assistant to Master Brewer Anton Dolenz at the Association’s Fulton plant. 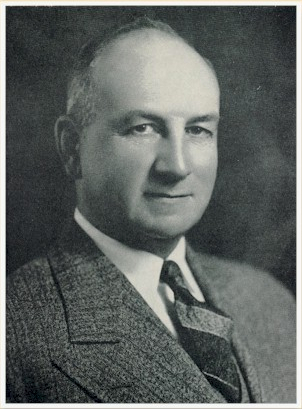 During this period with the Cereal Products Refining Corporation he worked with William Adams and Jacob P. Rettenmayer, and later assumed the position of plant superintendent. By Repeal in 1933 Karl had moved up high enough in the company that in 1934, with the death of Samuel Clarke, the Board of Directors elected Karl F. Schuster president and general manager of Cereal Products refining Corp., aka the Acme Brewery. 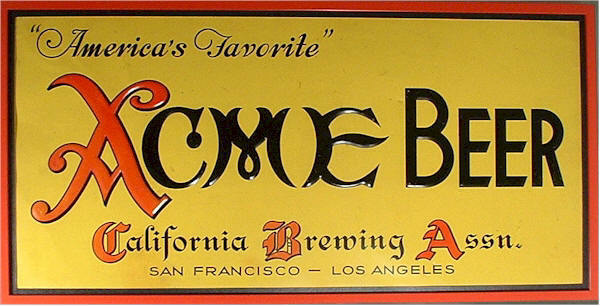 On April 1, 1936 the company changed its operating name to Acme Breweries to reflect the addition of the Los Angeles plant. 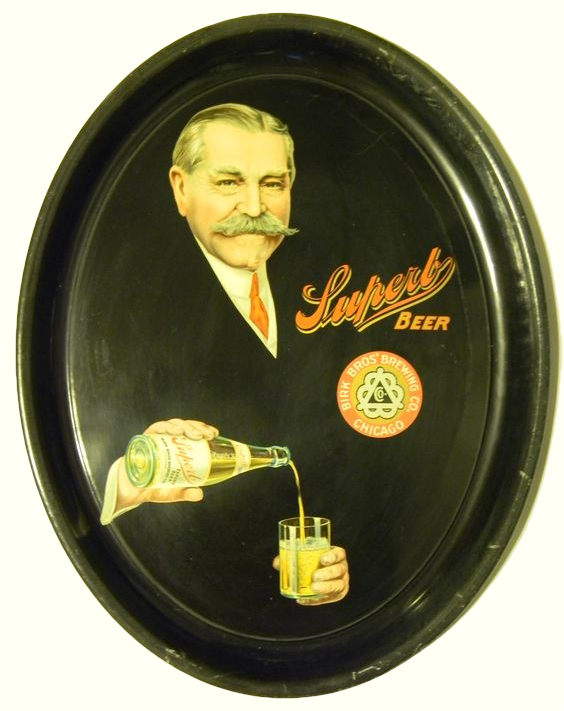 Karl Schuster remained president of Acme Breweries until it was sold in January 1954. He died in November 4, 1976. Today is the birthday of Edward John Birk (April 2, 1867-April 22, 1940). 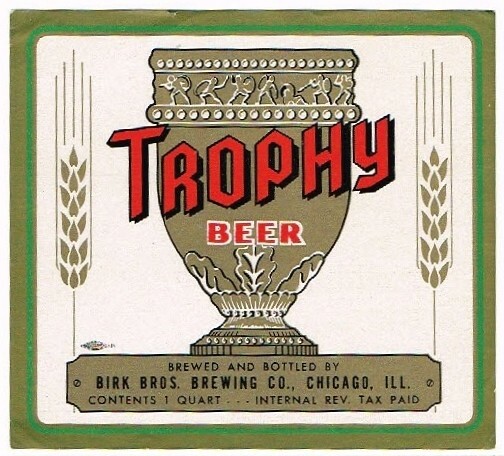 Edward was the son of Jacob Birk, who co-founded Chicago’s Wacker & Birk Brewing Co. 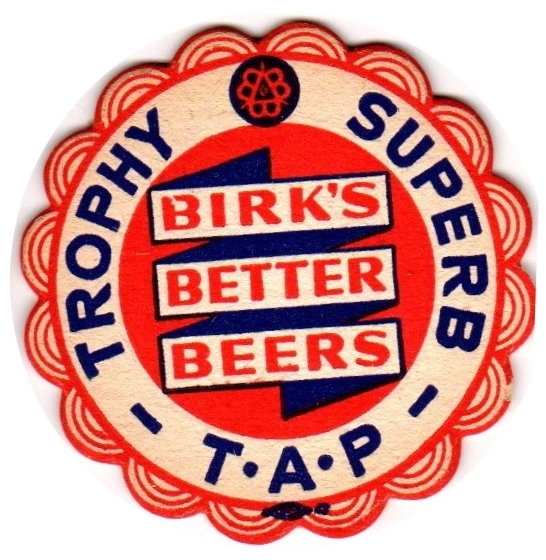 When Jacob retired, he bought the Corper & Nocklin Brewery for his sons, renaming it the Birk Bros. Brewing Co. Edward and his brother William ran the brewery through Prohibition, and it successfully reopened after repeal, and continued until closing on September 15, 1950. 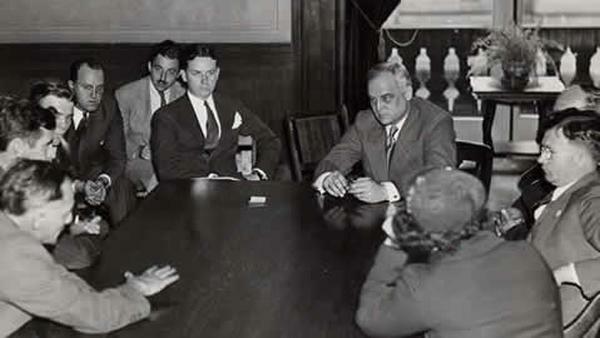 That’s definitely famed Prohibition agent Eliot Ness in this photo (at the far end of the table, on our left) and it’s possible that the man next to him was Edward J. Birk during his trial in 1922, during prohibition. E.T. 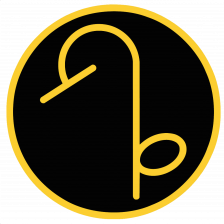 Birk of Chicago is Freed by a Jury of Charge of Transgressing Voltead Act. 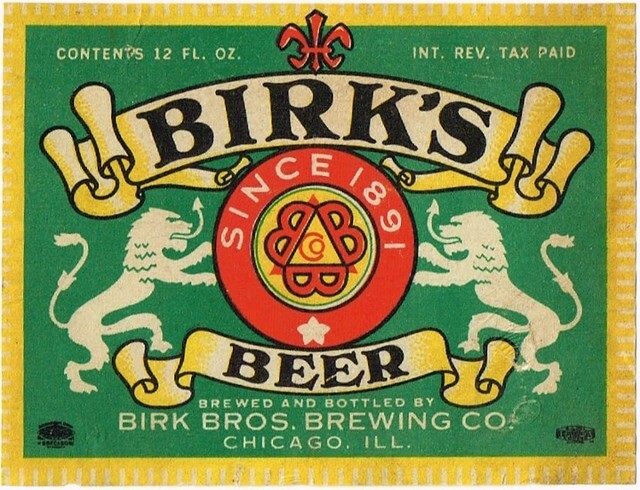 A precedent was established in the Federal Court here today when a jury before Judge Wilkerson acquitted Edward J. Birk, president of Birk Brothers’ Brewery, who was accused of aiding in the manufacture and sale of beer of illegal alcoholic content. 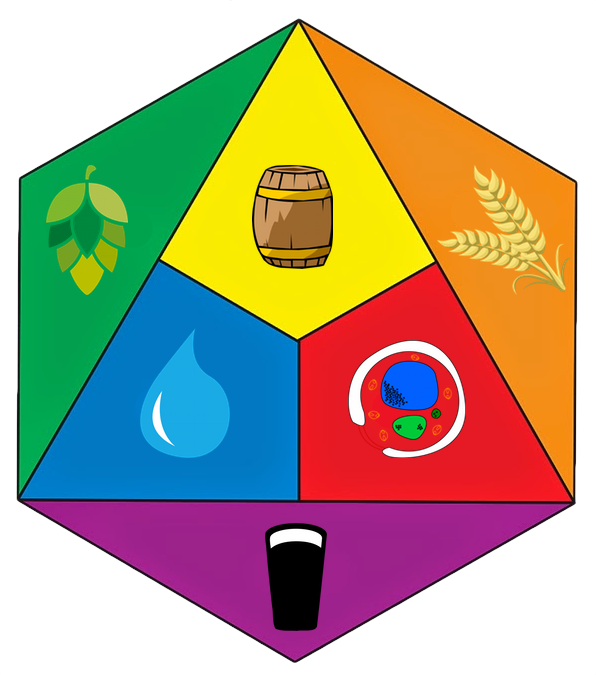 This was the first case tried here before a jury in which officials of a brewery were accused of violating the law…. 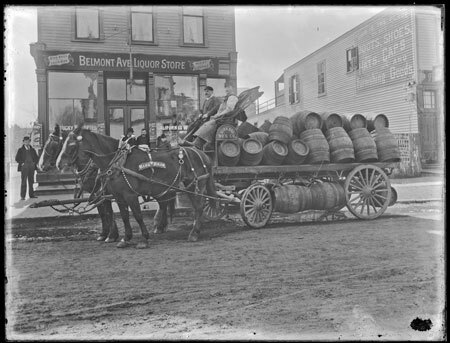 While a controversy was pending over taxes claimed by the Internal Revenue Department a squad of prohibition agents sent from Washington in the Spring of 1921 raided loop saloons and seized twenty-five barrels of Birk Brothers beer. 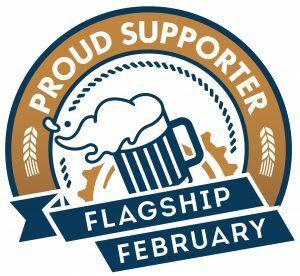 The brewery was closed by the Government and remained closed until April of this year, when at a hearing of forfeiture proceedings instituted by the Government, it was turned back by Judge Carpenter to its owners.